The front panel styling differs in appearance versus its predecessor by reshaping the front fascia to give it a more angular shapes as compared to the more plain panel of the RVZ01. 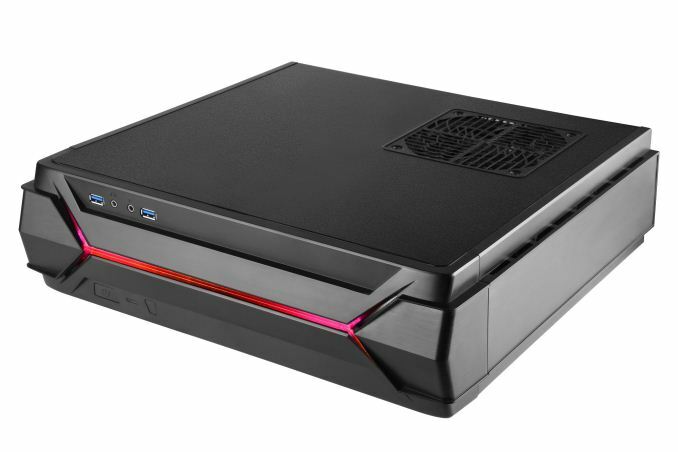 The “flair" Silverstone was talking about comes in the form of the RGB LED strip on that front panel. 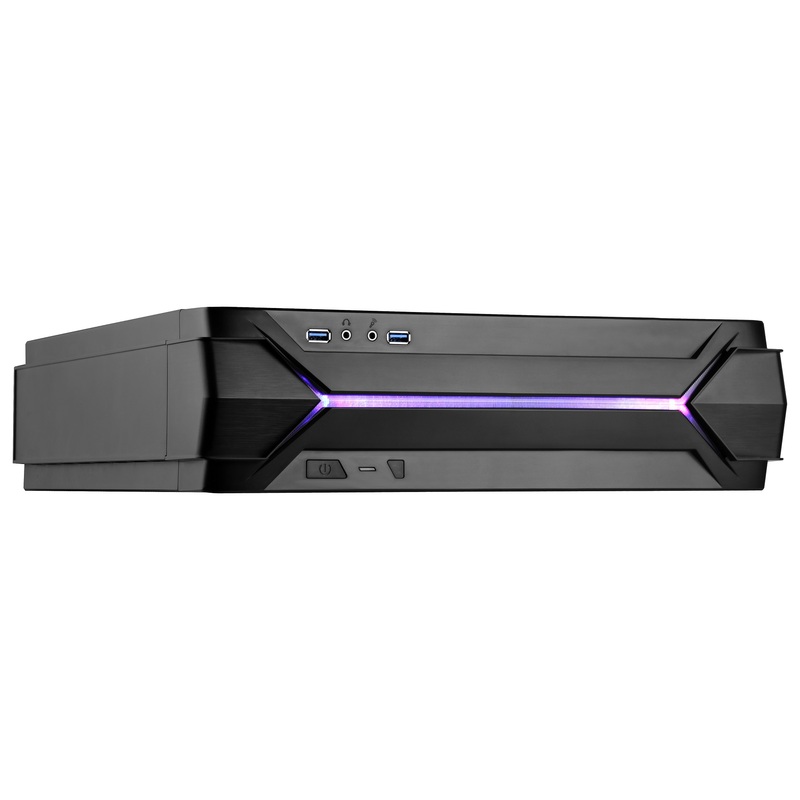 They mention it has the same interior room, supporting Mini-ITX and Mini-DTX motherboards, a standard ATX(PS2) power supply up to 150mm (Silverstone recommends 140mm with flat cables), space for large graphics cards up to 13” (330mm) x 5.88” (149mm) wide, and has “superb air cooling performance”. There is room for up to four 2.5” SSDs or HDDs internally for storage needs. Further, the case can be laid flat or standing up as to fit in whatever space buyers may have. Looking at the restyled front panel, it holds two USB3.0 ports, 7mm audio and microphone jacks, power/reset buttons, and a drive activity light. The added RGB LED visual is a line running through the front panel of the case, parting the USB/Audio jacks and the Power/Reset buttons on either side. The RVZ03 includes Silverstone's LSB01 RGB light strip control box for allowing expansion and control over additional RGB strips. RGB LED regulation can be done in two ways. First. via the control box itself allowing to swap between several modes (single color, breathing, gradient, and a rotation of those). The second method is by using motherboard RGB software including AURA Sync, AUR RGB LED, RGB Fusion, and Mystic Light. 15.04" x 4.13" x 13.78"
The RVZ03 comes with two 120mm, 1500RPM, 18dB(a) fans on the top and bottom of the case with space for an additional 120mm fan. Both included fans are bringing fresh air in the case setting up a positive pressure environment. Silverstone says this is to help prevent dust buildup inside the chassis and quietness. The maximum height of the CPU cooler must be 83mm or less. There is also support for using AIO solutions as well. The RVZ03 is available in Europe starting today with pricing set at 97.50€ (about $114) excluding VAT. Pricing and availability for the US market was not available at the time of publication. It looks bad... I would not like that under my TV, to be honest. 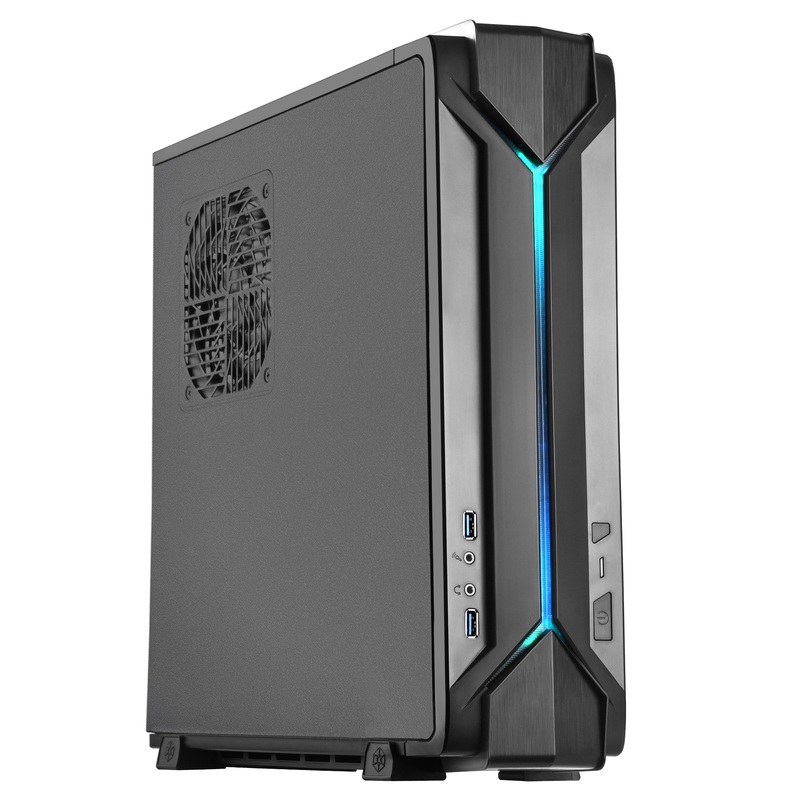 If it were a clean aluminium front with that RGB strip in the middle or under, I'd give it a pass. that 18mm are the reason I would stick with ML08. however the standard PSU compatibility of this RVZ03 is a good point.